NASHVILLE, TENNESSEE – There are plenty of variables that go into SEO. You’ve probably spent time honing your metadata for search engine optimization, and you certainly know the value of good links. 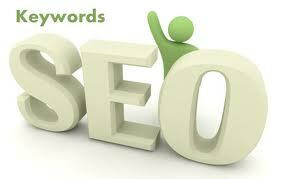 Now the best way to further optimize your website for search engines is through new content. Google likes fresh content. However, creating new content for your company’s blog can be daunting. You may start with a good list of topics, but once those are exhausted, it can be tough to find other topics to write about. Test your knowledge of your industry by making a list of hot-button issues that double as keywords. Those keywords are important. Are they the same keywords that your potential customers are using to search Google? Make Internet marketing work for you by compiling a running list of good industry resources. Medical professionals might subscribe to RSS feeds from medical journals. Learning what’s going on in your field will help you use more timely SEO keywords. When we say “stay current,” we mean stay fresh. Learn new things. Ask new questions. Search for popular blogs and websites that feature news in your industry. See what other people are writing about. Knowing what the buzz is in your industry does two things. First, it allows you to join the current conversation. You’ll know what other businesses like yours are discussing, what methods they’re trying, and what’s working for them. From the number of comments on competing websites you may even be able to gauge how effective certain topics are. Second, knowing what people are talking about also tells you what they aren’t talking about. You may see an opportunity to start an important conversation about changes in your industry. Content that is fresh and unique has the potential to attract lots of viewers. Comment on articles from your industry that appeal to you. Link to them on your website or social media outlets. You’ll learn a lot by being an active member of the discussion. Imagine you’re a baker, and you’re testing a new cake recipe. We don’t want you to share proprietary information, but sharing your journey developing a new product makes an honest, compelling story. Ask your customers for feedback when they try your new cake. Ask how the new cake compares with another one they’ve sampled. Record how many times the new cake flavor is ordered compared to the old ones. Spice up the name of the cake and see how sales are affected. You’re probably doing this anyway, but think of a way to incorporate your journey into a blog post. All the research you do to increase your business is important, and sharing the results you’ve seen could be informative and engaging for customers and other businesses in your industry. Competition can be cutthroat, but gaining contacts in your own industry is a good thing. A friendly rivalry with another local bakery could yield excellent marketing and SEO benefits. Remember all the Google SEO secrets we’ve shared along the way as you cultivate your content. A column by Trond Lyngbø at Search Engine Land discusses the importance of keyword research. Visit the resources mentioned above and see if the keywords you brainstormed have low or high competition. Make your blog topics specific. This gives you more opportunities to diversify the content and the keywords within each post appearing on your company’s blog. Keeping up with your industry will certainly boost your SEO efforts, but it also will trickle into your everyday work. In the SEO game and in life, there’s always room for improvement. is there a way to compete in the google search engine, whereas keywords I want, have many uses. I agree with you, Dane. Social media like Twitter is powerful tool when use with right strategy. I think Twitter retweet has a SEO value for new website. It certainly takes some effort to commit to blogging, but even one blog post a month — especially a keyword-optimized, focused post — will help boost your Google ranking and drive more potential customers to your site. Thanks for reading! \”Imagine you’re a baker, and you’re testing a new cake recipe\”, very nice example, but it\’s a little risky you might bake something with the awful taste but it shouldn\’t stop you.this is the only way you can improve yourself. until now, i felt great with SEO, but honestly, i havent yet the keyword for my bussiness, and i don\’T have any blog in my bussines,because my bussiness not too big,, just small bussiness, i only give a comment some blog like this, and put my prmotion in free website advertising. Anyone know when we passed 10K blog subscribers? Thanks everyone for subscribing and hats off to Lorrie Walker and her entire team. Master Google\’s Writers are the best. i still like using social media to promote my new website.